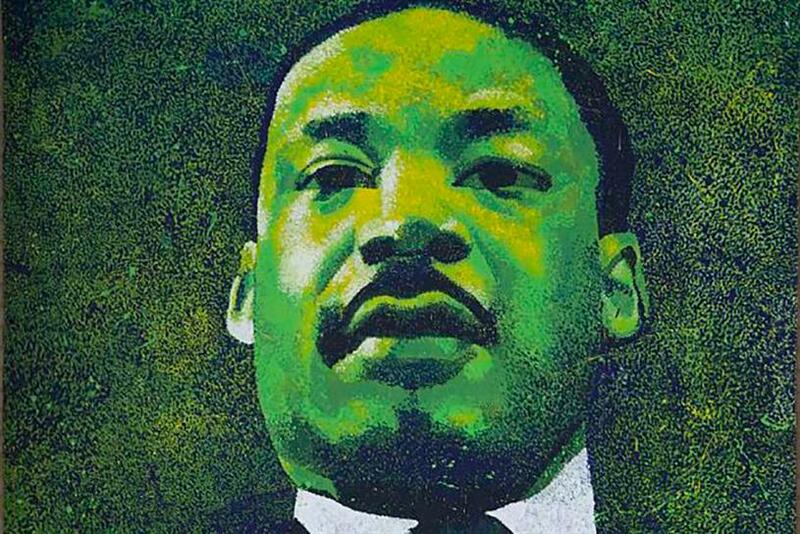 Let's use Martin Luther King Jr. Day as a time to gather and ask ourselves what actions we are prepared to take, suggests Vann Graves, CCO of J. Walter Thompson Atlanta. To many who were not yet born during the Civil Rights movement, Dr. Martin Luther King Jr. is remembered primarily as a speaker. The power of his immortal "I Have a Dream" speech still resonates as strongly today as it did when he spoke on the steps of the Lincoln Memorial in 1963. Eminently quotable, his words continue to inspire across social media, worldwide. But beyond being one of history’s greatest orators, Dr. King was, first and foremost, a man of action. He was an inspiring organizer who could rally people together to demand change they never thought possible. And though he is remembered for his non-violent tactics, he was a fighter in the truest sense of the word: never afraid to be aggressive when the situation called for it. This is why framing Martin Luther King Jr. Day as simply a day of remembrance does a disservice to the man and his legacy. According to The King Center, when Coretta Scott King and those at the newly formed organization first observed the holiday one year after his assassination, it was positioned not as a memorial, but a "celebration of Dr. King’s life, education in his teachings and nonviolent action to carry forward his unfinished work." Those goals, education and action, are as important now as they have ever been in the decades since Dr. King’s death. As we head toward Martin Luther King Jr. Day this year, we also head toward the dawn of an era where many fear that much of what Dr. King fought for may be pushed aside, even erased. In this unsettled and unsettling climate, our intentions must turn to action, not memory. In the words of the Reverend, "Almost always, the creative, dedicated minority has made the world better." As advertisers, it is our first instinct to communicate, to tell a story. But this MLK Day, we must use our creativity and our dedication to not just say something, but do something. For starters, let’s use Martin Luther King Jr. Day as a time to gather and ask ourselves what actions we are prepared to take. Agency leaders should get everyone in a room and figure out what it is they want to invest their time and energy into. Ask yourself and your team—what do we have to offer, and what do we believe we can accomplish with our collective powers? And when you figure it out, whether it’s helping out an existing organization, forming a new one or creating a tool that can push a cause forward, don’t relegate the initiative to after hours or extracurriculars. Build it into your business plan. Let’s use our talents to mobilize others into action. It has always been at the core of our profession to harness the energy of crowds—to tap into the culture and the zeitgeist and push it forward with our creativity and our reach. The voice we give to our clients is one we can give to the people; whether we act as consultants, helping budding activists learn how to amplify their own voices, or as a catalyst, using our platform to advocate for the issues most important to us. As we gear up to take action, let’s remember the words of President Barack Obama in his recent farewell address, "I am asking you to believe—not in my ability to bring about change, but in yours." It’s a sentiment that surely would have made Dr. King proud, and it’s one we all need to work to live up to, now more than ever. —Vann Graves is chief creative officer of J. Walter Thompson Atlanta. Hope and change: Did we win?